حصلت كامبردج العالمية السودان على شهادة النجمة العالمية للجودة 2017 (ISAQ). وقد تسلم الشهادة الدكتور صلاح عبدالعزيز احمد المالك والمؤسس لكامبردج العالمية السودان خلال احتفال كبير أقيم فى مدينة جنيف فى سويسرا يوم ٢٤ سبتمبر 2017 وبحضور سفير السودان لدى سويسرا المندوب الدائم للسودان لدى الأمم المتحدة الدكتور مصطفى عثمان إسماعيل كما حضر الاحتفال أيضا مولانا ادريس إبراهيم وزير العدل بجانب عدد كبير من المنظمات العالمية المشاركة من مختلف أنحاء العالم وكذلك ممثلى المؤسسات المختلفة التى حصلت على هذه الشهادة. ما يجدر ذكره أن شهادة النجمة العالمية للجودة تقدم سنويا لعدد من المؤسسات من جميع أنحاء العالم وفق معايير محددة تراعى مبدأ الجودة وخدمة المجتمع. 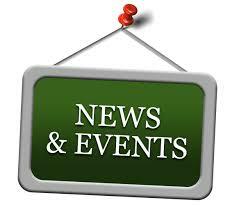 Cambridge International Sudan is an educational Institution since 2003. Cambridge International Schools are approved by Cambridge University CIE , while Cambridge International Training Centres and Cambridge International College are approved affiliate of Cambridge International College (UK) and Cambridge College London (UK) . April 2003 opening of Khartoum Centre and the start of the training activities of Cambridge International Training Centres in Sudan with a number of 57 students and the classification of a bronze branch of Cambridge International College. March 2004 Cambridge Centres in Sudan received the Golden classification of Cambridge International College with record of more than 6,000 students in the first year. May 2005 opening of Omdurman Branch of Cambridge International Centres in Sudan . June 2006 opening of Cambridge Kids Centre for Children in Khartoum with 93 child of kindergarten moving to Cambridge International School in the following year with more than 500 children and Pupils. May 2007 opening of Bahry Branch of Cambridge International Centres in Sudan . March 2008 opening of the Cambridge International School in School in Omdurman with 482 children and students. 8 June 2009 opening of Cambridge International School in Bahry with 218 children and students. July 2009 Cambridge international schools to be registered in the Qualification & Curriculum Authority ( QCA) and In the European Council of International Schools ECIS. 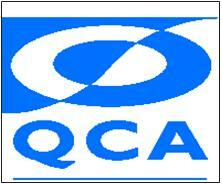 December 2013 Cambridge International Sudan has been accredited by International Accreditation Organization (IAO). November 2014 Cambridge International Sudan start the construction work of it's Schools complex in Khartoum as the biggest and only complex for pre university education in Sudan. 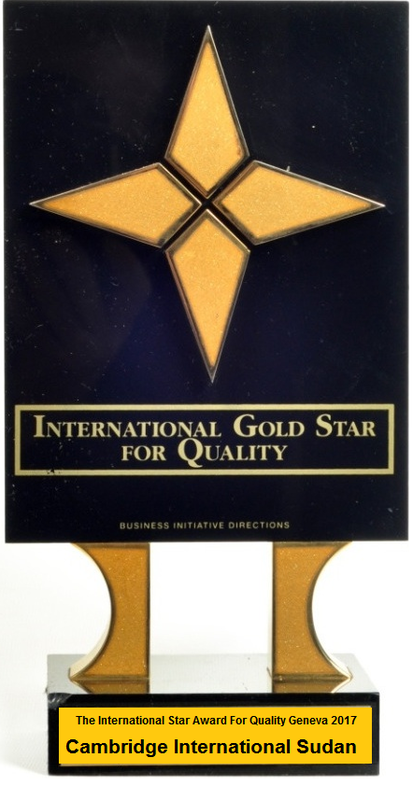 September 2017 Cambridge International Sudan has been Awarded The International Star for Quality (ISAQ) in the golden category. 1 - Head office , Arkaweet , Nakheel Street Ext. 9- Bahry School , Bahry , Kafory Block 6 . 10- Bahry Kindergartenl , Bahry Kafory Block 6 . 11- Khartoum Kndergarten , Khartoum Arkaweet , Nakheel Street Ext.